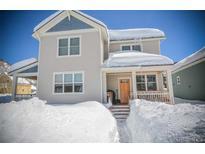 Find Breckenridge, CO Homes for sale. View Photos, Maps and MLS Data Now! 24 Hours notice required for showings. MLS#2501667. Cornerstone Real Estate Rocky Mountains. Mountain living at its best. See attached 3-D virtual tour. MLS#6964681. Slifer, Smith & Frampton Frisco. Improvements include the addition of a shed and landscaping MLS#9606685. Cornerstone Real Estate Rocky Mountains. Luxury lives here and you can too. MLS#4870966. LIV Sotheby's International Realty. With Heat-on-demand water heating, radon mitigation system, security system, mostly furnished and move in ready - this home has far too many details and features to mention - truly a must see home! MLS#9293516. LIV Sothebys International Realty- Breckenridge. 2019 Dues are $805. Check Virtual Tour. MLS#1675348. DA VINCI REALTY. 1 week every odd year plus bonus year round privileges. MLS#5571105. eXp Realty, LLC. Close to skiing, and Dillon Lake. Excellent VRBO history. MLS#7849060. HOME SAVINGS REALTY. Goose Pasture Tarn rights for recreating & fishing! 66k in nightly rental MLS#8836027. HomeSmart Realty Group. Just a short walk to the Burro Trail for ski in/out access to Breckenridge Ski Area OR hop on the free shuttle into town! MLS#7631225. Omni Real Estate Company Inc.
MLS#6684329. RE/MAX Properties Of The Summit. A Parade of Home winner in 8 categories, modern finishes and clean lines abound throughout this turn-key contemporary masterpiece. MLS#9638750. Dwell Summit Real Estate. HOA does not allow for short term rentals. MLS#6374750. RE/MAX Properties Of The Summit. See and share 3D- matter-port in virtual tour link. MLS#6159465. RE/MAX Properties Of The Summit. With a master suite, 2-mini-masters, 2-bunk rooms, this is an amazing mountain retreat. 5-minute walk to town. MLS#8282043. Slifer, Smith & Frampton Frisco. 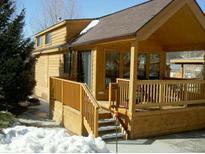 Large front deck with ski area views, veranda off quest room and balcony off master. MLS#6121775. RE/MAX Properties Of The Summit. Additional garage options available. Stock Photos. MLS#2678840. Brynn Grey Partners. Solid Granite Kitchen, Hardwood great room, Tile entry way, Stone entry, Tile floors bthms, Custom designed kitchen and bath cabinets, 5 gas stove, Dual Flush Toilets, Porcelain sinks and upgraded sink hardware s steel kitchen appliance, High Efficiency, can lights MLS#1144466. REAL ESTATE REVOLUTION.